BATTLE GROUND — C-Tran rolled out the first of a series of buses designed to show off the communities they serve this week, and Battle Ground was the first to get the special treatment. In fact C-Tran is rolling out similar buses for five local cities. Aside from Battle Ground and Vancouver, Camas and Washougal will also get their own versions. 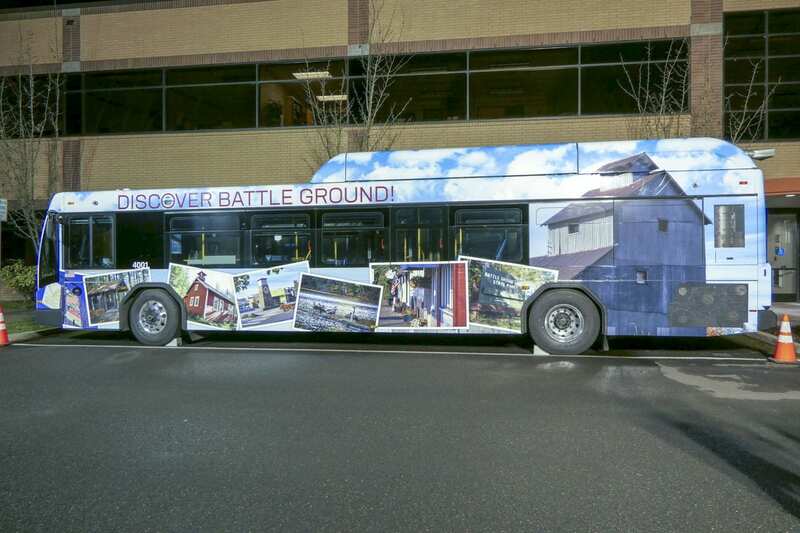 The Battle Ground bus features images of iconic locations within the 98604 zip code, including Old Town, Battle Ground Village, Battle Ground Lake, Lewisville, and the historic schoolhouse in Venersborg. “I love all the pictures, but I love that picture of Old Town, because that kind of ties into the Visioning that we did,” says Cortez. 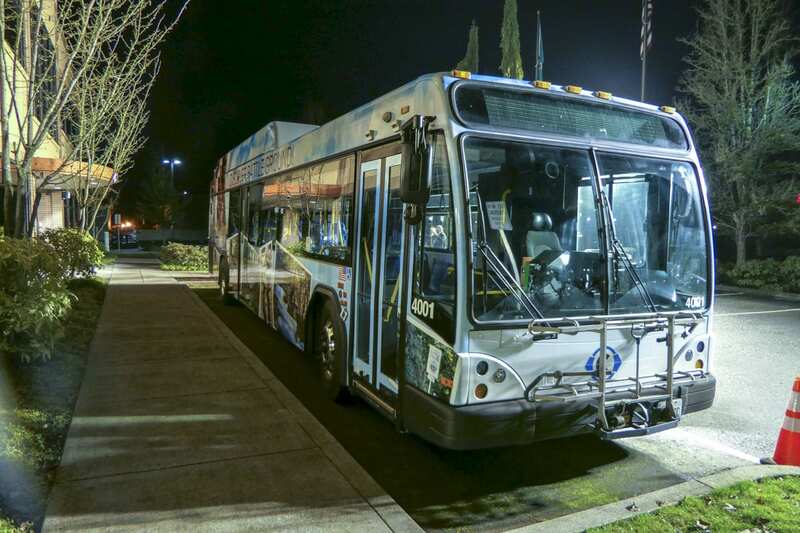 The same night the newly wrapped bus was shown off, the council voted to approve the city’s new Visioning and Action plan, which is an effort to shape Battle Ground’s future growth. Next up in that project will be a major land use survey. The bus was an idea former Battle Ground Mayor Philip Johnson had advocated for starting three years ago, but it took some time to get through. C-Tran’s move to advertise the cities it serves comes a year after they decided to no longer allow advertising on the sides of buses. “I’m happy and flattered that you guys chose us to go first on this,” said current Battle Ground Mayor Mike Dalesandro who, his fellow councilors pointed out, was the one to push forward to get the bus idea across the finish line. The remaining city bus designs are expected to roll out throughout the rest of the year.